I just started reading “The Name of the Star” by Maureen Johnson which is set at a London boarding school. It got me thinking about how many books I’ve read that are set at a boarding school. I find the fascination literature and films have with boarding schools weird. For one, I don’t think many people in the world go to them and for another, they’re written as fun and magical places full of midnight feasts, sneaking out and playing games. They never really deal with things like bullying and homesicknesses, which I’m sure are just as big a part of life for kids there. What’s funny about there being so many boarding school stories is I could easily write one myself even though I’ve never even visited one. I could just remember all the things books and films have told me happens while you’re there. Things like common rooms, housemistresses, prep, playing far too much sport, dormitories, shared bathrooms, playing hockey in bad weather and pillow fights. But I just don’t believe that’s what they’re really like. Probably due to Harry Potter, there’s now a ton of YA books set in boarding schools with supernatural elements. I’m not sure what Enid Blyton would make of vampires threatening midnight feasts but they have injected something new into the well-worn genre. Lately, I’ve read some great YA boarding school books both realistic and supernatural and it looks like boarding schools will continue to fascinate writers and readers. I think I’d steer clear of writing my own boarding school story though, I prefer living with the fantasy versions safe in the knowledge I’ll never have to attend one. 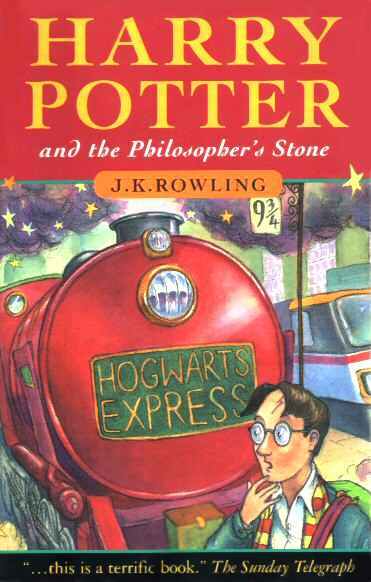 Do you like reading books set at boarding school – what are your favourites? Would you have wanted to go to boarding school yourself? Haha you’d set the gym on fire 🙂 I agree – it lets them be able to have the kids do whatever they want to. Hmmm maybe I’m missing a trick then! I wanted to go to Malory Towers as well! I’m a huge Chalet School fan, although these days I’m more into the demolition jobs some fanfic stories do on the star heroines of the series 🙂 Harry Potter is a great comfort read, especially the mid-series stories where Rowling had cottoned on to her readership being more than children and teenagers and the themes are getting deeper. I also love earlier, more obscure boarding school stories and series, by the likes of Angela Brazil, Winifred Darch and Dorita Fairlie Bruce. I think their main attraction for me is the fact that they are so far removed from my own world and experience, yet their themes and stock characters have become familiar to me over the years. Like you, Victoria, I could probably write a passable pastiche of the classic boarding school story at this stage! The last boarding school book I read (listened to really, on a trip through France) was, Never Let Me Go BY Kazuo Ishiguro. A book I would recommend. I went to boarding school in South London, not a thing like you see on telly or read about, so I stay away from them. I saw the film version, it was pretty bleak and I definitely wouldn’t want to go to that boarding school 🙂 I expect when you’ve had a real experience, you can’t face the fake ones! 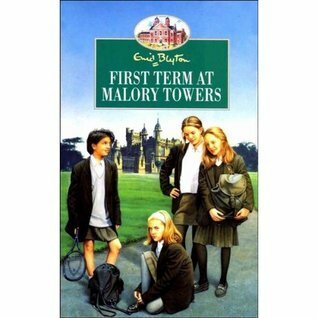 I used to love reading Malory Tower,St.Clares and Harry Potter. I tried Vampire Academy but didn’t like it. I would have liked to try a year to two atleast in boarding school but never got the chance. They seem to be a staple of childhoods 🙂 Ah shame you didn’t enjoy VA, it’s one of my faves! Well, I went to a boarding school for high school (which, in the states is for ages 14-17, approximately). But I was a day student. Which essentially means I only went there for classes and after-school activities. I lived about twenty minutes away, so I went home at night. I could tell you some horror stories, though. Even as a day student I was required to take part in Saturday classes, and 2 sports a year plus 2 extra-curricular activities if you weren’t doing a sport. Even as a day student, I was privy to a lot of the behind-the-scenes junk. Have you ever read A Separate Peace, by John Knowles? That is a classic. It takes place in a NH boarding school, and it is an interesting portrayal of boarding school life by an unreliable narrator. Saturday school = yuck! You’d be well placed to write your own boarding school story then 🙂 I haven’t read it, I shall check it out thanks Kathryn! I love these suggestions. Boarding schools aren’t a big thing in the states so I was always interested in reading about them (they were always set in the UK!). Because I had a romanticized view, I definitely wanted to go to one. Harry Potter made it worse when they sprinkled magic in there. Gah! I am still waiting for my letter to Hogwarts to arrive! That’s what’s weird, they’re not a big thing here but they seem to be in American stories about the UK 🙂 I always laugh when I watch Three Men & A Little Lady – such a stereotypical view of England! Sigh, I’d love to see an owl arrive one day too but alas I think we may have missed that boat! Thats really interesting thanks for sharing! It’s a shame they don’t live up to the fantasy! I agree – it give them more freedom to focus on the kids!